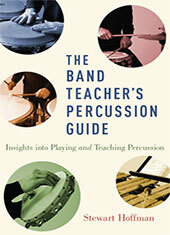 Welcome to the companion website for The Band Teacher's Percussion Guide: Insights into Playing and Teaching Percussion. This website offers supplemental resources that accompany the book. You may make selections by using the left navigation bar.